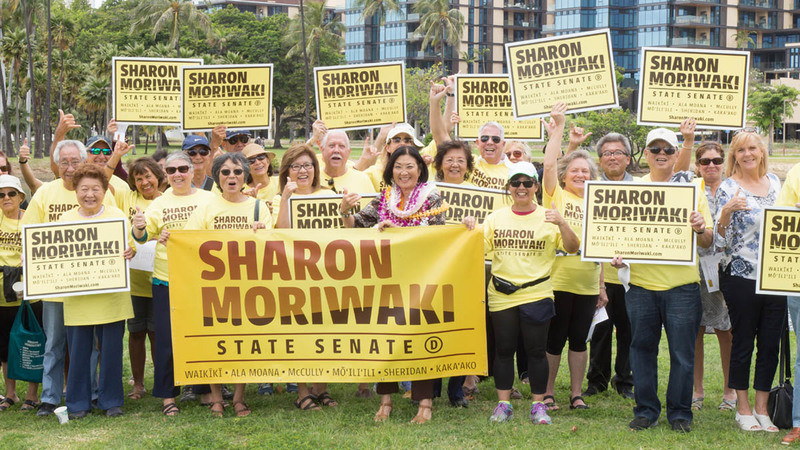 Sharon Moriwaki is a leader. Her life is characterized by seeing a need, identifying a solution, and following through on her promises. Born and raised in the Sheridan area and on St. Louis Heights, Sharon was student body secretary at Kaimuki High, a major figure in the 1979 Statewide Women's Conference, chaired the 90th anniversary celebration of Okinawan arrival in Hawaii, and coordinated Hawaii's Dukakis for President Campaign (Dukakis won the state). Throughout her career, Sharon has held people accountable and worked collaboratively with diverse groups—to get things done! After she returned from California with a University of Southern California doctorate and a Loyola (L.A.) law degree and was working in a private Honolulu law firm, Governor Waihee chose Sharon to be part of his first cabinet as Labor Department Deputy Director. Four years later, Waihee appointed Sharon as his Director of Human Resources, where she instituted major personnel system reforms. 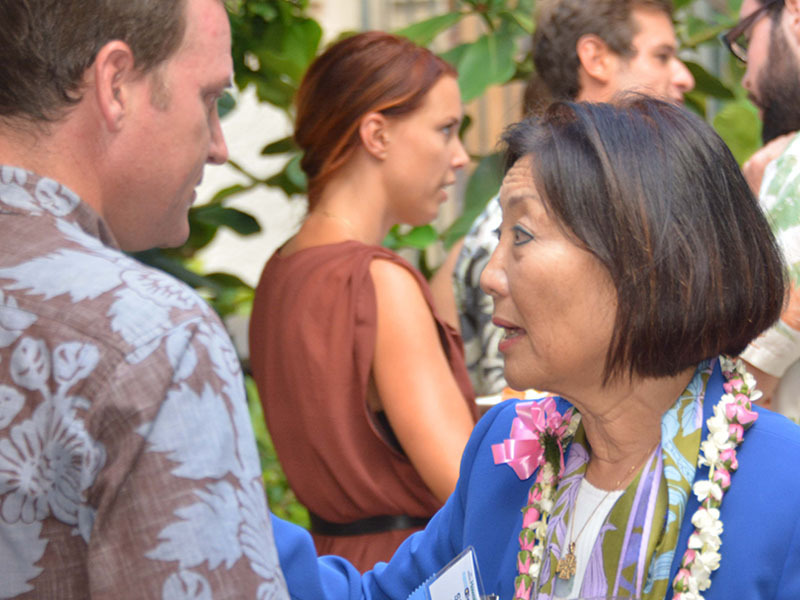 Sharon's subsequent leadership included serving as Hawaii Court System Administrative Director and as UH Assistant Vice President. Sharon's passionate advocacy for community included caring for the Makiki Stream and ahupuaa, preserving Kakaako's makai shoreline, and bringing people together to develop and implement Hawaii's clean energy goals and projects. She co-hosts ThinkTech Hawaii's television show, "Hawaii: The State of Clean Energy," is vice-president of the Hawaii Technology Institute, which primarily helps disadvantaged native Hawaiians, and volunteers with her church's program aiding houseless families. Sharon helped organize and run the Good Neighbor Store, a Democratic Party program helping over 1000 underprivileged and abused children. Sharon moved to Kakaako ten years ago, becoming founding president of Kakaako United, fighting for a better life in our Senate district. She is also vice president of the One Waterfront Towers condominium board. Sharon holds national awards from the National Education Association, the American Society of Public Administration, and the National Association of State Personnel Executives. 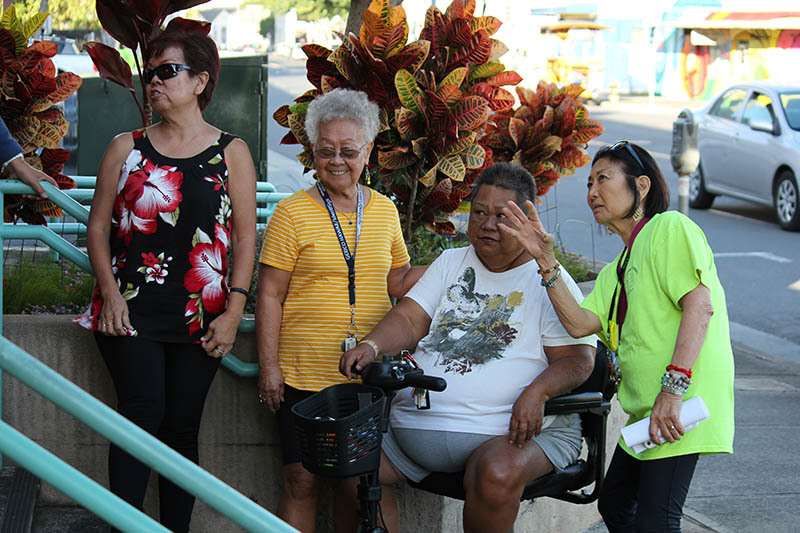 Her Makiki Stream Stewards work received the City's Good Neighborhood Award for "environmental team leadership." Sharon also earned the Children's Rights Council "Best Advocate for Hawaii Children and Families" Award, the "Unsung Hero" Award from Hawaii's Thousand Friends, and the UH Robert Clopton Award for Outstanding Community Service. Sharon is married to Galen Fox, a former legislator, and dotes on their five grandchildren.